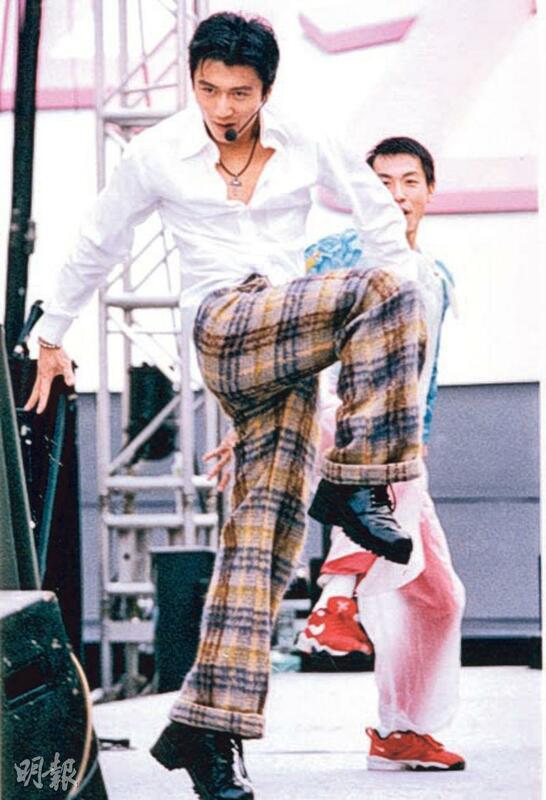 Nicholas Tse at the 1996 Ultimate Song Chart Award was 16. He did a kick into a split and split his pants. 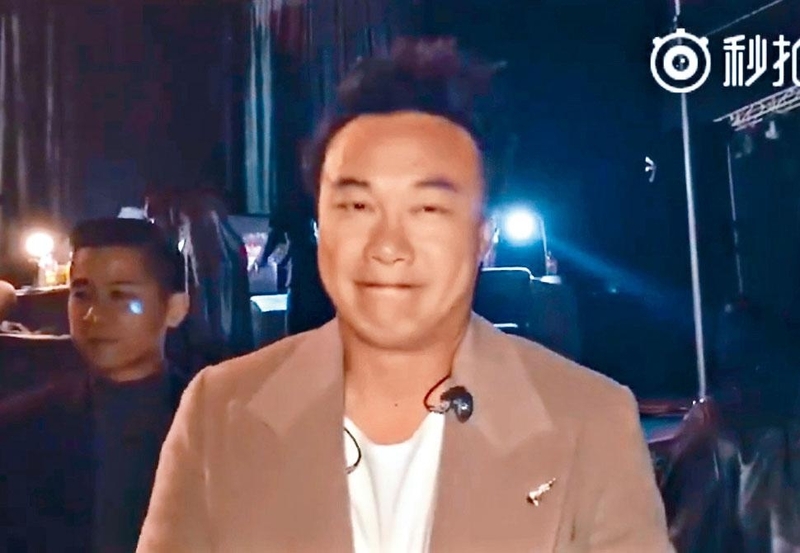 Jason Chan admits that he wants singers who deserve to be on the stage to win so he asks his fans to vote for other singers next year. 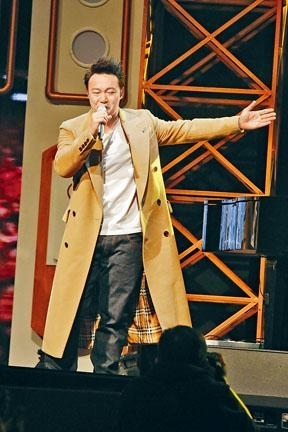 Commercial Radio Ultimate Song Chart Awards took place on New Year's Day. 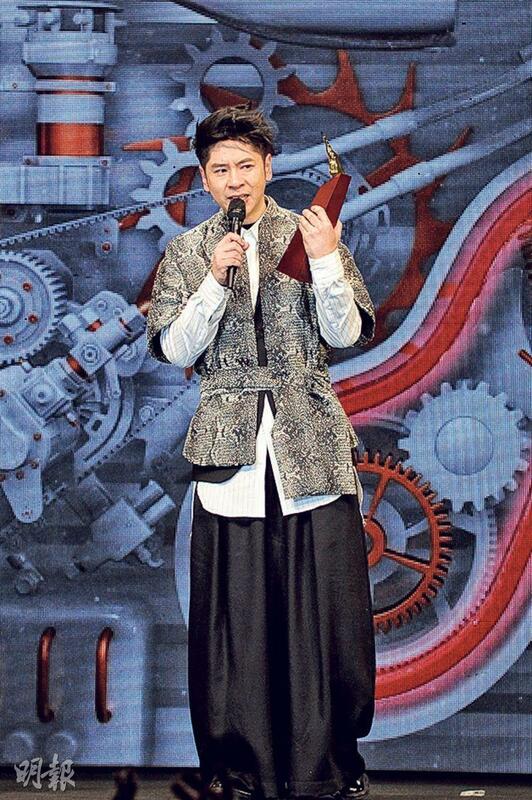 Hacken Lee Hak Kun who has had no lucky with the Ultimate awards struck strongly this year, as he won his first Ultimate Music Male Singers gold prize and Ultimate Music Ultimate Song award in 30 years. 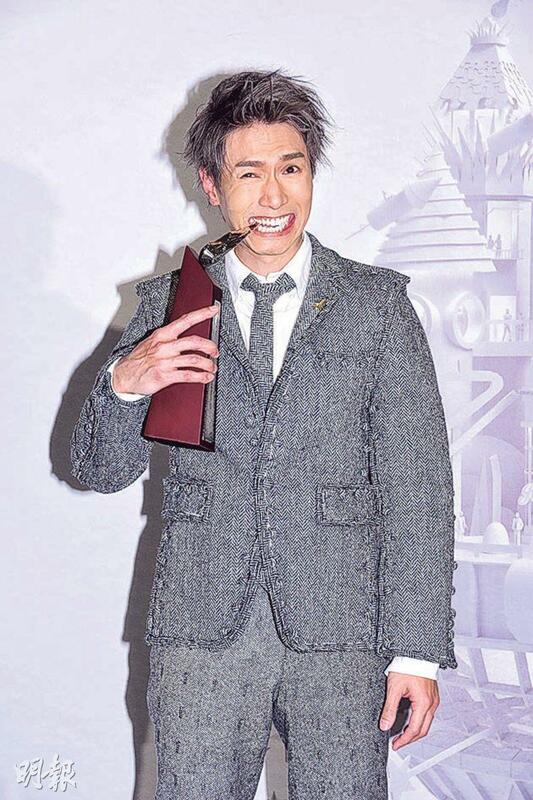 Inevitably he got sentimental when he accepted the awards, as he tearfully thanked his mentor and friend Alan Tam Wing Lun, "I believe you would be happy for me!" The 2017 Ultimate Song Chart Awards last night presented 43 awards. With 30 years in the business Lee Hak Kun this year has swept across many award shows to become the big winner this year. In the past Ultimate Awards usually brushed him by. 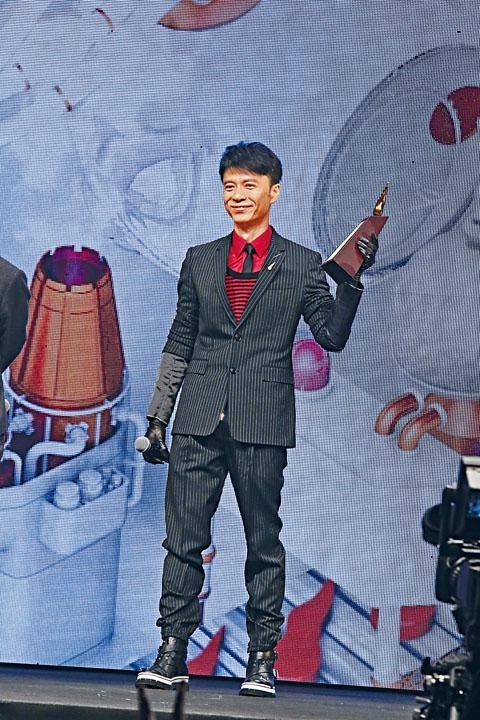 This year he finally broke through with Ultimate Music Male Singer gold prize and Ultimate Music Ultimate Song award, the "first time" for Hacken Lee after waiting for 30 years. Hacken inevitably got sentimental on the stage. When DJ Donald and Jim brought up his past "suit comment", he got teary eyed as he stared at the award, shook his head and sighed. Hacken compared this time to the Oscars. "Some singers would be nominated every year and would win every other year like Meryl Streep. Some people are always nominated but the award always brushes them by. Leonardo DiCaprio was nominated for years and finally was recognized with an award. I of course know I am not Leonardo. I am more like Clint Eastwood. No one would remember that he has won or now, but winning the Male Singer gold prize at this age would probably be worth everyone's applause! Thank you!" He stated that he never wanted to be the ultimate in music, he only wanted to be a good friend to everyone. He asked everyone not be to scared off by his arrogant expression, he was full of passion and sentiment inside. 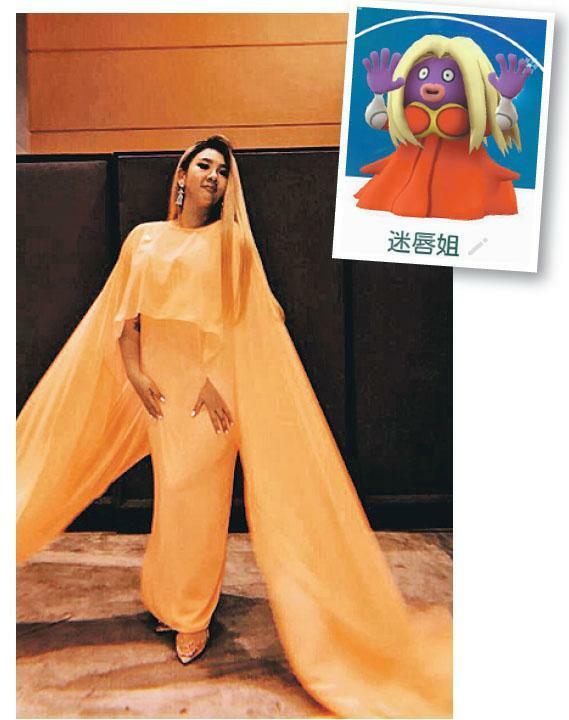 Having been in the top three Ultimate Music Female Singer for 17 years straight, Joey Yung Cho Yi finally broke the streak as Janice Vidal (Wai Lan) won her first gold prize. Silver and bronze prizes went to Gin Lee Hung Ngai and Ivana Wong Yuen Chi. 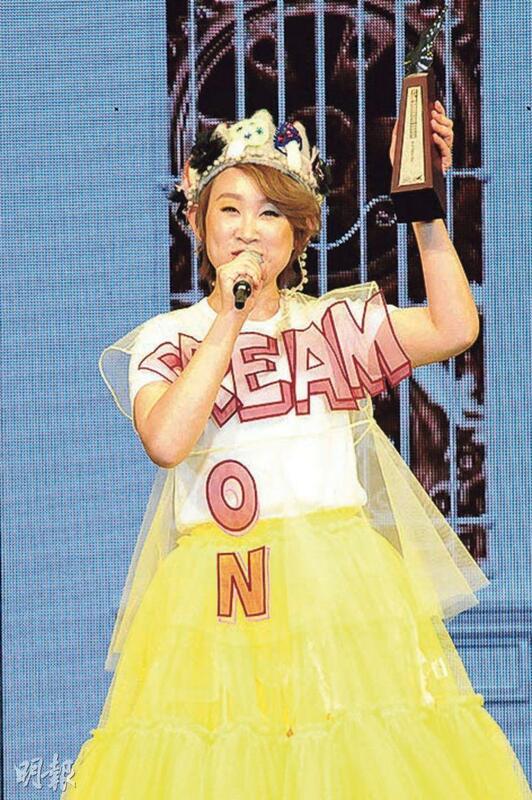 Wai Lan said that she waited for this award for 12 years. 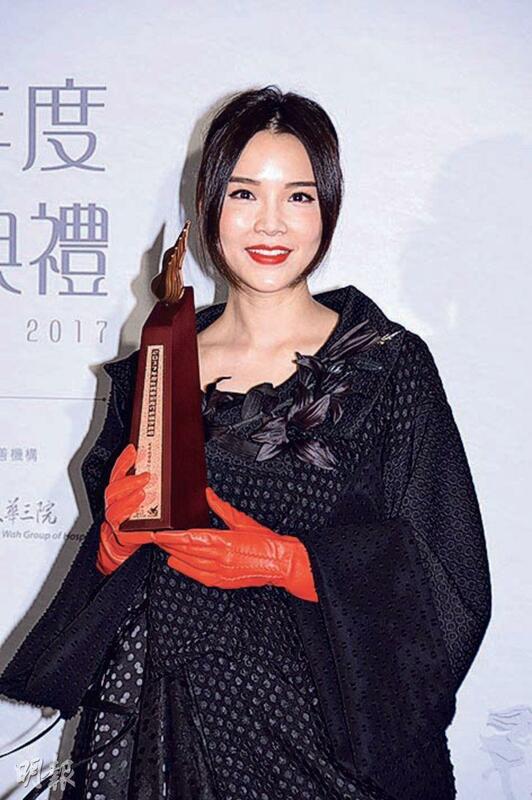 She thanked her father, sister Jill (Wai Sze) and former boss Leon Lai Ming. 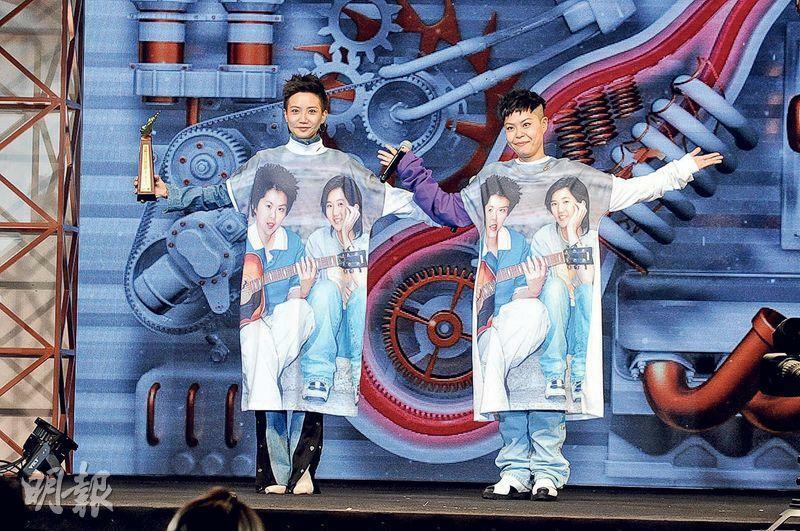 Jason Chan Pak Yu defeated the two year winner James Ng Yip Kwan to win "My Favorite Male Singer". He won two awards. The always cool Pak Yu got teary eyed and thanked his wife Leanne Fu Hiu Mei. "My old lady every year would tell me it doesn't matter, 'It doesn't matter that everyone misses out, you are already the favorite male singer of my heart!' Thank you Old Lady!" In terms of quantity, the band Supper Moment was the big winner with 3 awards. The pre race online favorite Hubert Wu Hung Kwan went home empty handed. This year is Ultimate's 30th anniversary, the theme of which is "Reminiscing for Tomorrow". Bands Supper Moment and Chockukmo opened the show. 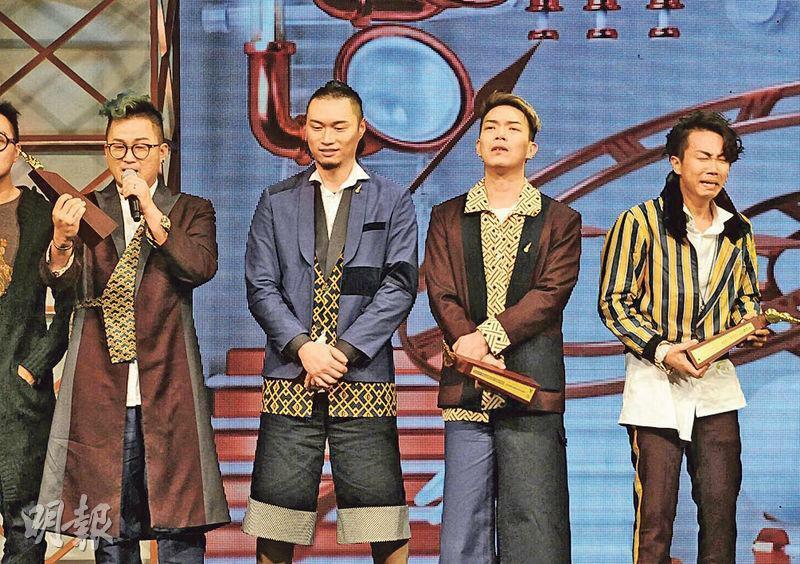 Soon Nicholas Tse Ting Fung made a surprise appearance on the stage. 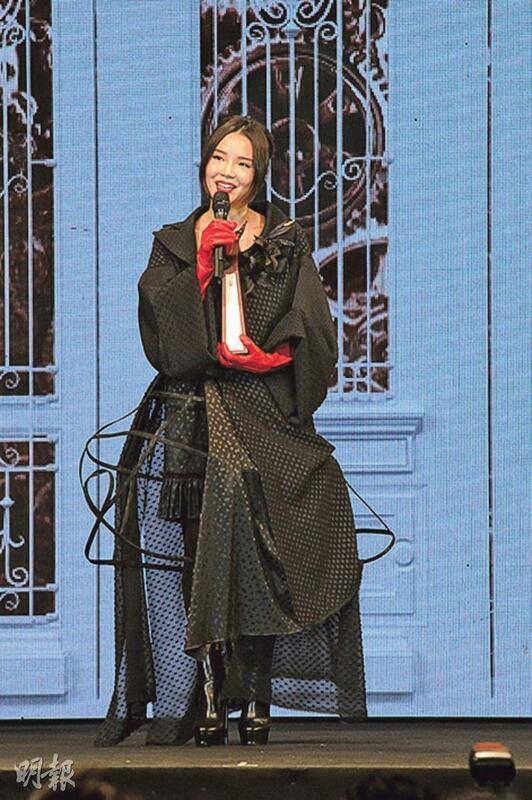 He in a casual look performed JADE BUTTERFLY, WITH FIRE and LIVING VIVA as the audience stood up and screamed like mad. 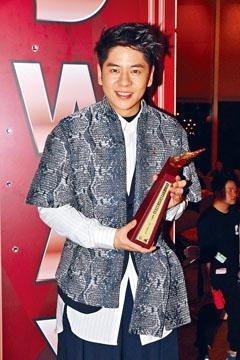 The last time Ting Fung appeared at an award show as the 2005 Metro Mandarin Power Award. 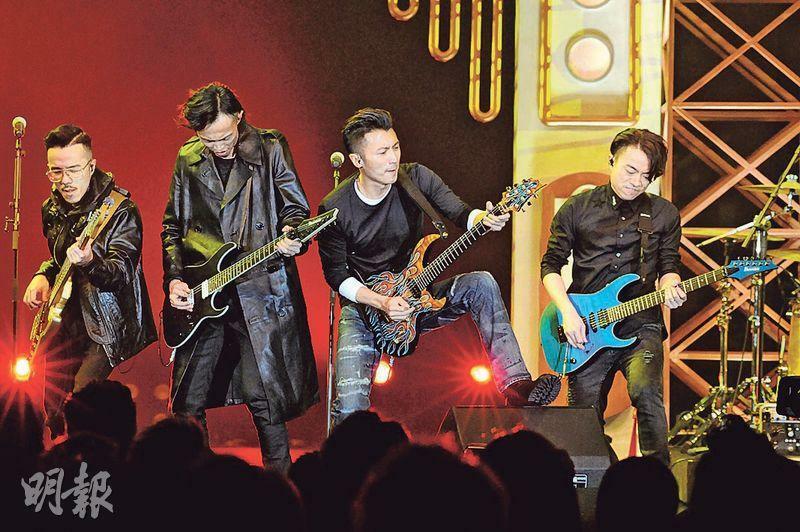 13 years later, Ting Fung dropped his spatula for an electric guitar. 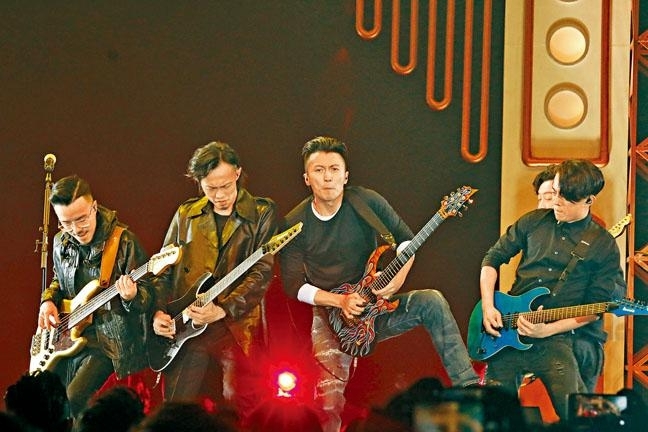 Although the sound system malfunctioned and his guitar did not make a sound, Ting Fung was not only in a great mood but also comforted the audience. "This is live!" After his performance Ting Fung embraced the two bands' lead vocalists and said, "From this moment on, reminisce for tomorrow!" Ting Fung will fly to Beijing for his new record press conference and release new songs later. 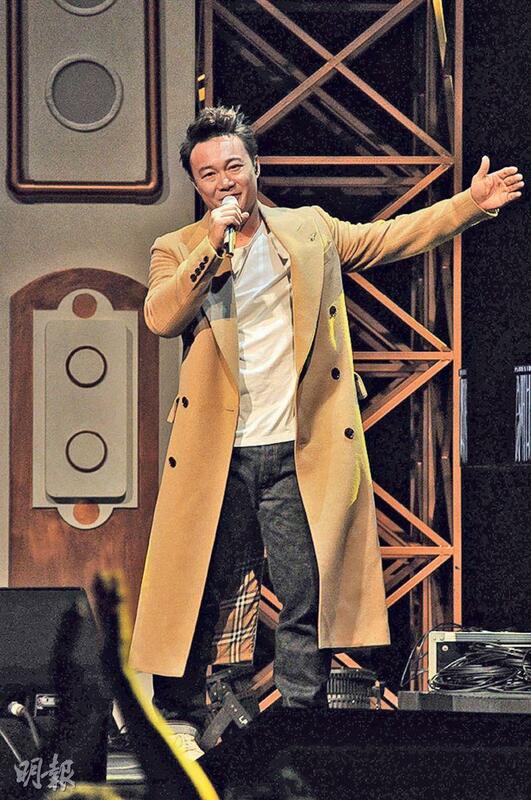 Eason Chan Yik Shun has not attended an award show in years. Last night he appeared as a guest performer. 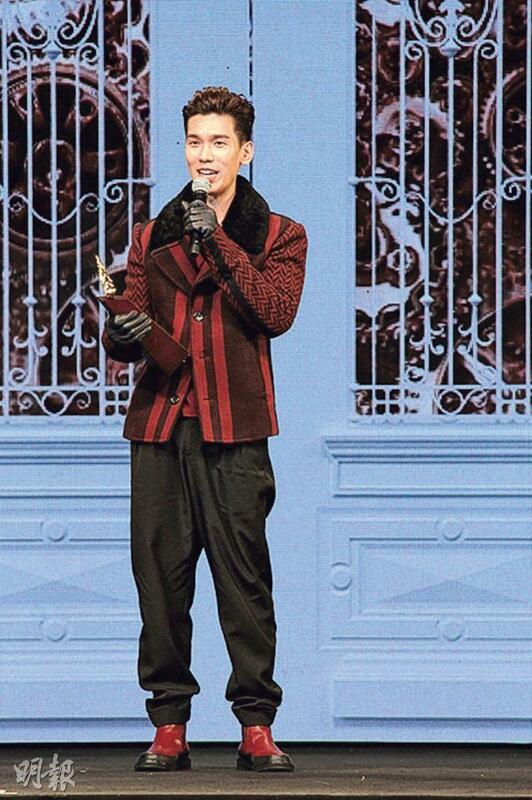 With Jan Lamb Hoi Fung's narration, Eason performed classic hits like MY HAPPY AGE, ONE AND ONLY, TOURBILLON to bring together the classic scenes from 30 years of the Ultimate Awards. Charmaine Fong Ho Man announced earlier that she was over 3 months pregnant on social media. 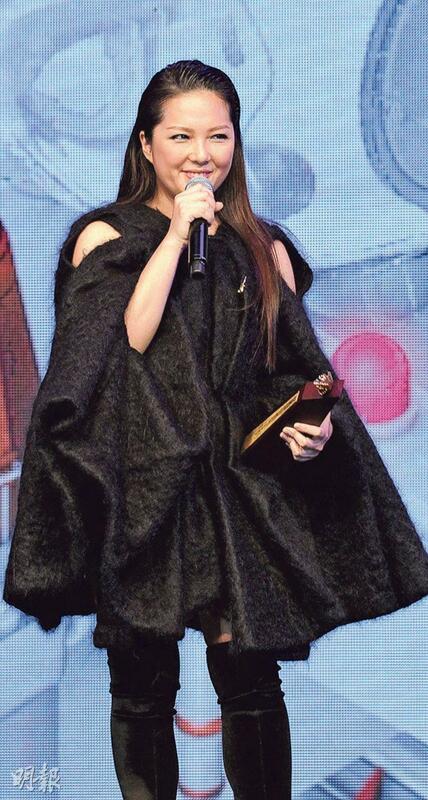 Yesterday she appeared in public for the first time but still wore 4 inch heels to the awards. The DJs joked that they had to arrange a "priority seat" for her. When she accepted her award DJs came to lend her a hand and congratulated her on double happiness. at17 put a photo from early in their career on their clothes to commemorate their 15th anniversary in the business. This was also their first Ultimate Top Ten song award. 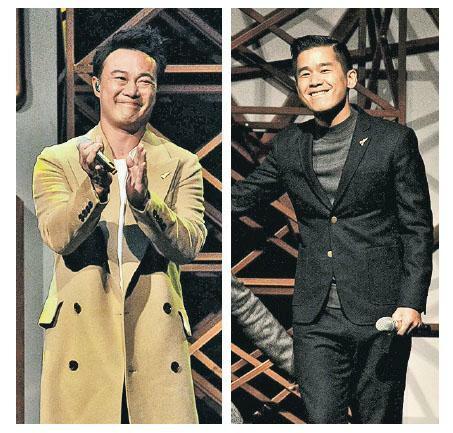 Phil Lam Yik Hong received the Ultimate Creative Singer gold prize. He said that after 8 years in the business the award this year was particularly meaningful. Actually he did not pick up his Hong Kong permanent resident identity card officially until this year. 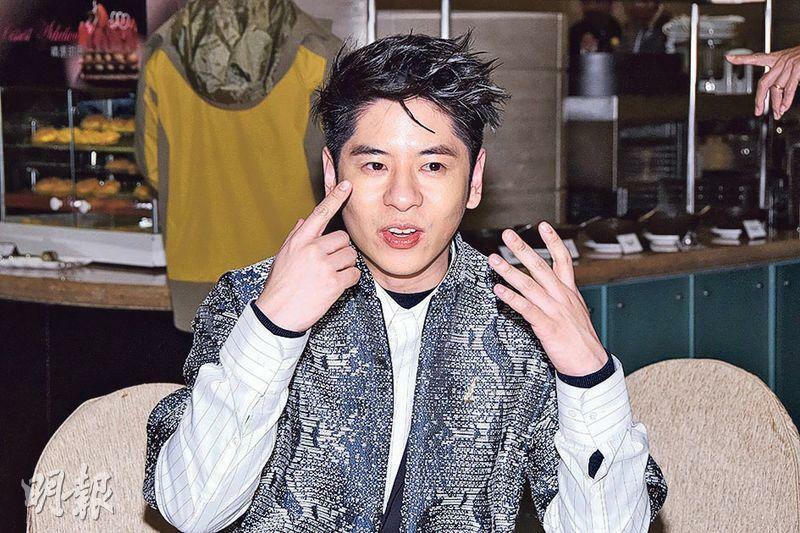 He said, "Many singers say getting on this stage is very hard, and indeed it is; because in the first few years I didn't even have Hong Kong residency. I constantly had to get visas. This year I finally get to accept this award as a Hong Konger. I am very proud to be a Hong Konger. I hope to keep writing good songs for everyone." 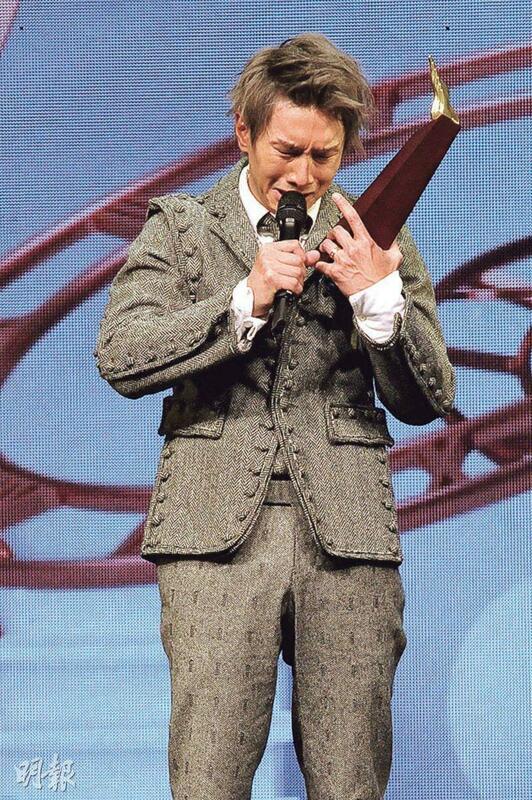 When Alfred Hui Ting Hung received the Ultimate Top Ten second place, he could not stop sobbing. Friends Ng Yip Kwan and Joyce Cheng Yun Yi immediately embraced them to comfort him. When Alfred accepted the award, he spoke as he cried. This actually was already the fourth year in a row that Alfred broke down at the Ultimate Song Chart Awards.